But there's a third option. 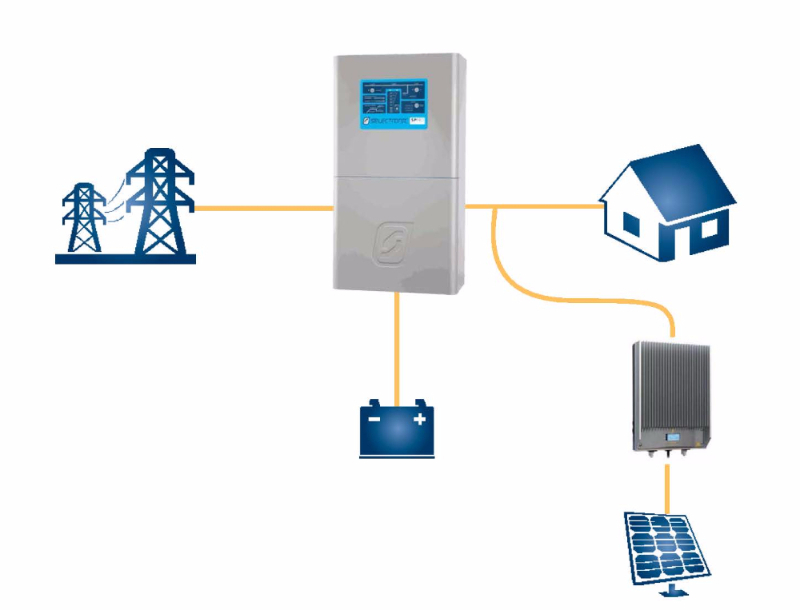 A hybrid solar system combines the best of both worlds: the convenience of a grid connected system — including the ability to earn Feed-In Tariff credits — with the extra peace of mind of a battery backup. This means that even during a power blackout, you still have electricity. These hybrid systems are quite sophisticated. They are fully programmable and our in-house designers can custom engineer a system which will provide a smart combination of all the energy sources available to you, giving you a strategic advantage in the reliability, cost and environmental impact of electricity usage. The most common questions are about costs! Energy efficiency is always the first step to ensure your solar hybrid fits your electricity consumption profile and you don't pay for capacity that you don't need. Here are a few options to get you started with about 10kWh useable storage), however there's always customisations available to suit your individual needs and goals. Going Solar can work with you and your budget to achieve grid independence. Remember it's not just about the economics. Hybrid systems empower you with energy security, self-sufficiency, lock in your future cost of electricity, control when you use your solar power and provide an uninterrupted power supply when others have lost grid power. And how do you put a value on that? The two hybdrid PV package options recommended by Going Solar are the Hi-Tech Hybrid system and Selectronic MyGrid. The Hi Tech hybrid package uses Victron components. Victron are a well-established company from the Netherlands that have been providing innovative solutions in the field of PV for over 40 years. Their wide variety of components and flexible design options give our designers the freedom to take advantage of a variety of energy sources available to you, guaranteeing that the system is built to your financial, environmental and reliability needs. The diagram above shows one arrangement of how Victron components are connected into your home in the form of a hybrid system. Going Solar is excited to announce one of the most affordable and convenient hybrid energy storage kits on the domestic market. Check out the new HY-TECH ! Selectronic are a market leader in Australia for Hybrid PV systems. Boasting excellent monitoring and functionality, these systems can deal with a huge variety of situations including grid interrupions and balancing renewables with grid power providing almost seamless transitions between your batteries, solar and the grid connected supply to your premises. Optimising cost, environmental impact and reliability, the My Grid System can be purchased as a new system package or the Selectronic SP PRO can be retrofitted to most existing grid-tie PV systems making it into a hybrid solar system. The diagram above shows how Selectronic components can be incorporated in your home in the form of a hybrid system. Why choose Going Solar for a hybrid system? Since 1978, Going Solar has been at the forefront of the most innovative developments in solar technology. Hybrid solar systems are another example of this. Just like all our solar systems, when you engage Going Solar to design and install a hybrid solar system, you have the advantage of our in-house engineers, accredited installers, and top quality products including generous warranties. Please note: All prices are subject to change without notice. Travel costs apply for areas outside Melbourne metro. For a quote on your new hybrid system call Going Solar today on (03) 9348 1000. WINAICO manufactures on an ultramodern, fully automatic production line. Ranked first in ANU tests & first at Desert Knowledge Australia Solar Centre. Tindo is the fusion of world-class manufacturing with Australian innovation and we are creating the next generation of photovoltaic solar panels. Selectronic is an Australian innovator and manufacturer of power conversion products, specifically designed for renewable energy and battery systems. The myGrid kit is a convenient and simple way to store energy and use it at the time of your choice. Exide Technologies is well known for its durable and reliable batteries. Exide’s Energystore series is Australian made for Australian use. BAE solar batteries are used in renewable energy applications such as photovoltaic power generation, as part of both hybrid and stand-alone systems.